Last week was an amazing week – full of celebration, entertainment, meetings and good news!! We were entertained by the Takahe team with their show “Let Loose!”, this took 5 weeks to put together and was thoroughly entertaining. It was great to see so many students performing on stage – great work team!! We celebrated all the winter sports achievements and success with a huge assembly organised by Mr. Irvine!! Thank you everyone for all the time, enthusiasm, and support for every team and child playing this winter. Both the BOT and the FOWS met last week, minutes of these meetings do go on the website and a hard copy is always in the office. 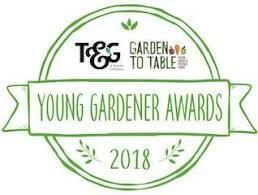 2018 T&G Young Gardener of the Year Awards – Emerging School category! FOWS – What an amazing group of parents we have!! Last Sunday a group met for two hours in a working bee and cleaned up under the hall in preparation for Ag Day. Cole Glasgow has offered to come with his digger and scrape out under the hall and lay some new metal. This is fantastic as for all the years I have been at Wainui School, we have struggled to keep this area useable!! Huge thank you to all but a very special thank you to Kylie Allen for leading this on her birthday!! 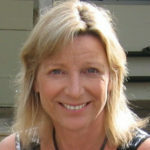 Quiz Night – Raised a total of $7,758.94 fantastic effort Cindy, Kate and your team! Make sure you put this event in your diary, it is so much fun. 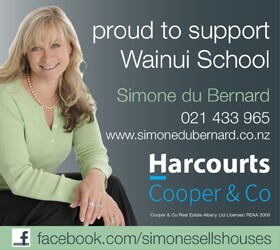 If you are wanting to help our FOWS (Friends of Wainui School) don’t be shy, come and join this wonderful group. Week 10 – Means the end of the term!! This week we round up with the Kiwi Team show and farewell two special teachers, Mrs. Hertzke and Miss Jenkins. We also have the end of term clean up. Kiwi Team Show – Thank you to Mrs Millar for stepping in whilst Miss Tarpey has been off and leading the Kiwi Team this term. They are all looking forward to performing their show ‘Travelling Kiwi’s World of Wonder’. The Matinee dress rehearsal is on Wednesday 26th September at 11.30am and the evening performance is on Thursday 27th September at 6.30pm. Entry will be by gold coin donation. Tennis – Dairy Flat Tennis Club are at school running a tennis taster programme for our children. The tennis sessions are structured under a “Hot Shots” NZ tennis banner. The programme introduces children to tennis in a fun way, with small and light rackets, large soft balls, and low nets on small courts. These sessions are on Monday and Wednesday of this week. Outstanding Payments – The office staff are finalising all outstanding payments. Please ensure you have paid your sports registration fees, trip payments and any activities, this all helps us manage the accounts. Lost Property – All unclaimed clothing and shoes are washed and taken to a charity at the end of the term. We have a basket of clothing outside the staffroom to collect from. Student Councillors – They have all been very busy with their leadership this term. This week Paris and Rita have launched a film making competition, something these two girls are very keen on and want to share their expertise and encourage others. Short Film Festival – Wainui School is hosting a short film competition curated by student councillors Rita Straka and Paris Headford. It’s a great opportunity to learn new skills and win some great prizes! Sign ups will be held this week and your child (or children) can be in teams of up to 3 people or they can participate by themselves, with the theme being “Sustainable or our place”. You can start filming and creating your film when you sign up, with a deadline of Tuesday 23rd October. Films will need to be between 1-3 minutes, with entries open to Year 5- 8. If your kids have any questions there will be posters around the school or they could ask either Rita or Paris for more info. 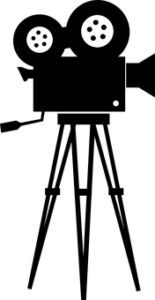 (Film festival guidelines provided to all entrants). 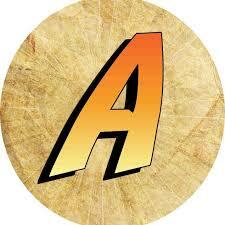 Attendance – Is closely monitored by the classroom teacher, SENCO and myself. Research tells us, and we know it is a factor that contributes to achievement and engagement at school. We will be analysing attendance at the end of this term and will be in touch with you if we need to further discuss any problems. There will be a Special Assembly this Friday 28th September at 9.15am to farewell our two staff members leaving this week, all are welcome. We wish Mrs Hertzke and Miss Jenkins all the very best and know they will be fabulous mothers to their new arrivals!! We can’t wait to meet the “boys” in the future!! Term 3 finishes on Friday 28th September at the normal time of 2.55pm. 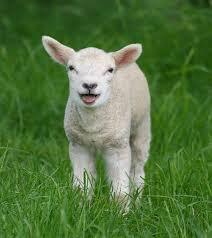 Term 4 resumes on Monday 15th October with Ag Day the first Friday back!! If you only take one day off work a year to attend a school function, make it this day!! It is our biggest, fun day whereby all the family attends!! We mix tradition with the animals, classroom displays and market stalls with some new things!! Please read all the information below, put together by Kylie Allen. Ka kite ano, see you all in the new term!! Ag Day – Friday 19th October – Mark this date in your calendar! Registration Forms for Ag Day – If you have not filled in a registration form for Ag Day, it is not too late. Please fill one in at the office or go to our website, print off a form and drop it into the office by Friday 28th of September. Parent Help Roster – The parent help roster will be going out live this afternoon. Just an hour on the day is all it takes and it would be very much appreciated! Step 1: Enter your email address, full name, mobile number. Click the “Go” button. Step 2: Follow the instructions to select the stall and time slot. Working Bee – Thank you to the families that came and helped out at the working bee on Sunday. Under the hall looks fantastic! Thank you to Melissa and Cole Glasgow for supplying the metal to go under the hall. This will be done in the holidays. Kids Market Stalls – Would you like to have a market stall for $10 selling toys, clothes, books, crafts, plants, preserves, old fashioned lollies (coconut ice, fudge, hokey pokey) or second hand goods? 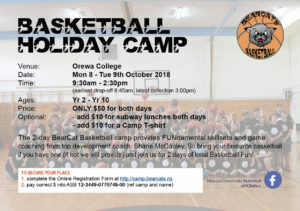 Fill in a registration form at the office before the school holidays start! Cake Boxes – These will be coming home on Tuesday 16th October which is the first week of term 4. There will be one per family, please fill with cakes, muffins, something savoury etc, for us to sell on the Cake Stall at Ag Day. Pet Eggs – A Reminder that tomorrow, Wednesday 26th September all children who are not showing an animal at Ag Day will be given an egg to care for. Over the holidays, they will make a habitat for their egg and complete the Profile Sheet for their egg in readiness for judging on Ag Day. Each child will need a container to take their egg home in and a gold donation for their egg. Auckland University Respiratory Health Survey – Thanks to those in years 2 & 3 who have returned their surveys. If you still want to participate, please hand in your completed survey forms to the office and receive a little gift! Congratulations – Grayce Brothers has made the squad for the Poi tarawhiti o te raki pae whenua (Netball North Harbour Maori) under 13’s Nationals team. They will play at the Maori Netball Nationals Tournament next Easter and next year it’s in Invercargill. Grayce had to be part of a number of trials and did exceptionally well to be selected – Well done Grayce! DISCO Friday 28th September 2018 – Last day of term in the hall. Tickets are available at the office. North Harbour Summer Hockey – North Harbour Hockey is offering a range of Summer Hockey competitions for primary school-aged students (Year 1 to Year 8) so that players of all ages and levels can receive a world-class hockey experience. Primary and Intermediate School Summer Hockey runs throughout Term 4 (Monday or Tuesday night – depending on grade) and is played at the North Harbour Hockey Stadium. Fees range from $70 per team for Year 1/2 to $165 per team for Year 7/8 Advanced. All competitions are 6-aside, apart from Year 1/2, which is 4-aside, and teams can be all-boys or girls/mixed (sees rules on the website). All children will wear the Wainui School sports uniform and a mouth guard, shin pads and stick are compulsory for all players. All teams must provide their own umpire and a ball. All games are 30 minutes in duration and the competition will run for 8 weeks. The first night of play is October the 15th. Entries close on the 30th of September, which I understand is short notice, but if you are keen on putting a team together, please let me know as soon as possible and forward me the names of those who will be playing and the team manager. All teams must be entered through the school. 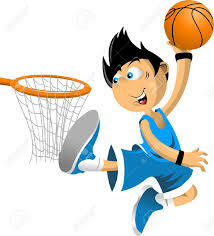 Fees for your team must be paid to the school office prior to the first day of play. The individual fee for each player will be determined by the team manager, providing the team fee is completely covered. If you have any questions, please let me know, Jason Irvine. 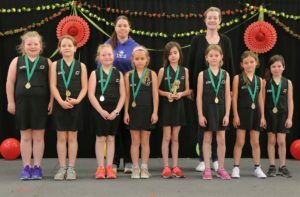 Congratulations – To the Wainui Jets, year 3 netball team for winning their grade – well done girls! Wainui Heat Yr 6 vs Stella Maris. Won: 7 – 2. POD: Regan Lowe. Wednesday 26th September – Yr3/4 “Travelling Kiwis World of Wonder” Production Matinee – 11.30am. 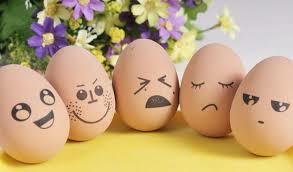 Wednesday 26th September – Pet Eggs coming home – remember to bring a container. Thursday 27th September – Yr3/4 “Travelling Kiwis World of Wonder” Production – 6.30pm. Friday 28th September – End of term 3 – finishing at the normal time of 2.55pm. Monday 15th October – First day of term 4. Friday 19th October – Ag Day. Sat 27th October, 10am-4pm, $90.00, includes home cooked lunch, afternoon tea and comfrey to take home. Suitable for everyone from suburbanites with no lawn at all to lifestyle blockers with a bamboozling amount of hectares. This workshop covers the “what, where and how” of sustainability – from the inside of your home to veggie gardening, composting, mulching, clean energy…and then it will be time for lunch. Adventurers Holiday Programme – October programme for ages 5 – 15 years. Kaukapakapa Hall: 947 Kaipara Coast Highway, Kaukapakapa. For more information phone or text Amber on 021 977 951.